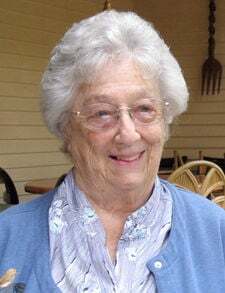 Charmaine R. Merrow NORTH SPRINGFIELD — Charmaine Rosa Merrow, 90, died Monday, April 8, 2019, at her home. She was born March 29, 1929, in Wallingford, the daughter of Pascal and Viola (Waldo) Falzo. She graduated from Mount St. Joseph Academy in 1947. On April 10, 1948, she married Henry Cecil Merrow. Mrs. Merrow was a telephone operator for America Tel&Tel in Manchester from 1947 to 1952. In 1980, she graduated from New England School of Hair Design and worked as a hair stylist for four years. She was later employed as an operator with Precision Security in Springfield. She was an avid reader and enjoyed playing cribbage and shuffleboard at Springfield Senior Center. Survivors include two children Brenda Neronsky, of North Springfield, Mark Merrow, of Alstead, New Hampshire; a brother, Ronald Falzo, of Springfield; six grandchildren, five great-grandchildren; several nieces, nephews and cousins. She was predeceased by her husband April 19, 1978; and a daughter, Jennifer Handy. Calling hours are from 6 to 8 p.m. Thursday, April 11, at Davis Memorial Chapel in Springfield. The funeral service will be held at 11 a.m. Friday, April 12, at the funeral home, with the Rev. Jerry Kilyk officiating. In lieu of flowers, memorial contributions may be made to Springfield Senior Center, 139 Main St., Springfield, VT 05156. Our sympathies on your Moms passing. I have many fond memories growing up of both your folks.